The layout for my card was inspired by Fab Friday 68. 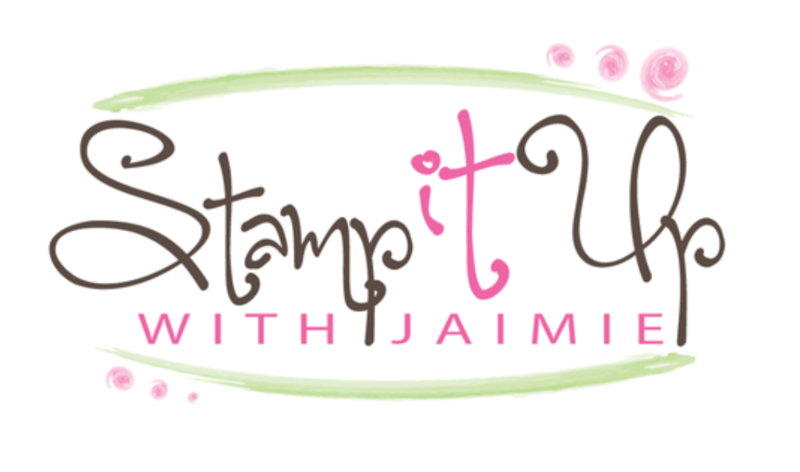 I started by stamping the image from the Hardwood stamp in Whisper White Craft Stampin’ Ink on a panel of Soft Sky card stock. I used my heat tool to speed up the drying time, but you can let it air dry too. 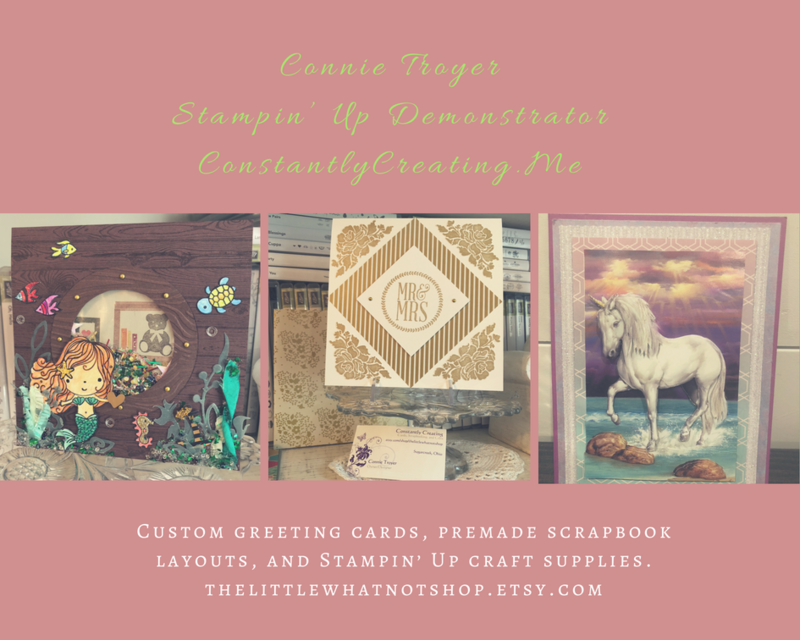 I adhered the stamped panel to a panel of Soft Suede card stock with SNAIL, then to a Crumb Cake card base with Stampin’ Dimensionals. I stamped the image of the ship from The Open Sea stamp set in Soft Suede ink on a panel of Soft Sky card stock. I used my Blender Pen to “color” a little with the Soft Suede ink that had been stamped on the sails. Then I used my Blender Pen to add a tiny bit of Cherry Cobbler ink to the little flag on the boat. I sponged the edges with Soft Suede ink and adhered it to the card front with SNAIL. I stamped the Hardwood image again in Crumb Cake ink on a panel of Crumb Cake card stock, then cut it into two 1/2″ x 2-7/8″ and two 1/2″ x 3-3/8″ strips. I cut the ends of two of the strips at an angle, stamped the sentiment from the Watercolor Wings stamp set in Soft Suede ink on one of the longer strips, then adhered the four strips together to create the frame. I adhered the frame over the boat image with Stampin’ Dimensionals. I stamped the compass image from The Open Sea stamp set in Soft Suede ink on a panel of Soft Sky card stock and I colored over the center arrows with my Blender Pen. I stamped the compass image again in Soft Suede ink on a panel of Soft Suede card stock, then punched the Soft Sky image out with the 3/4″ Circle Punch and cut the Soft Suede image out with a Circles Collection Framelits die. I adhered the two circles together and to the card front with SNAIL. I stamped the anchor image from The Open Sea stamp set in Soft Suede ink on a Soft Sky card stock panel, adhered it to a Soft Suede card stock panel, then to the inside of the card. This entry was posted in For a Friend, For You, Masculine and tagged Alpharetta, Alpharetta ga, Amy Koenders, Atlanta, Atlanta GA, card making, card making supplies, CAS, Demonstrator, Duluth GA, Georgia, hand made card, Hardwood, Johns Creek, stamp with amy, stamp with amy k, Stampin Up, stampin up atlanta, stampin up blog, stampin' up amy, stampin' up demonstrator, The Open Sea, Watercolor Wings. Bookmark the permalink. Thanks Mary, it was actually really easy to do! Have I mentioned that I am a total Soft Sky fanatic! 😃. Gorgeous! This is super cool Amy! I really like the way you used white for the wood. Very unique touch. You did a great job coloring the ship too! I love how you made the frame…so perfect for the image! The soft sky background is just perfect too..it all goes so well together. I like how you stamped on the frame,too! Just saw this card over at The Paper Players in the Design Team lineup – fabulous! I love this stamp set and may use it for the challenge with a little influence from the first card I made using these stamps! Thank you for such an awesome card Amy! I actually thought it was wood. I don’t have a lot of the new stamps and a lot of paper but I’m definitely going to order more. There are so many things I want. HAHAHA! Don’t we all. I really liked everything on the Players Blog. I really want to know how the Merry Christmas was done. It was great.Thank you for all the beautiful cards you and the blog put out there for us. You all inspire us all to do better. What a marvelous image to frame, this is a wonderful card Amy!! Wow, what a great job you did making your wooden frame, Amy! Mitered corners and all! Fabulous masculine card and great take on the challenge! Love all the great wood details here, Amy. Especially the white ink on soft sky. It gives a fabulous washed pine look perfect for this card. Great job! This is just fabulous, Amy! I was just thinking about stamping Hardwood either in blue or on blue…and here you’ve done it on blue in white and it looks awesome! Beautiful frame too! And the inside is just as nice as the outside. Great masculine card. Oh my gosh – your wood work is STUNNING! Unbelievable – and I love the little compass, too. Your coloring is amazing! Thanks so much for joining us at Fab Friday! Gorgeous Amy – I love all the woodgrain and your colour choices – this could be a framed painting inside a boat cabin, so realistic! Wow! Absolutely stunning, Amy! I LOVE the frame you created! It is so perfect for this stamp set. Amy, I had forgotten how fabulous this set is! I love how you framed the ship and the soft colors you used. A great use of the frame challenge.